William J. Chambliss was an important founder of the radical criminology movement in United States and an enduring friend of Social Justice. He is listed as a Contributing Editor on our 1974 inaugural issue, consistently offered thoughtful peer reviews of articles, and shortly before his death undertook an essay on President Obama’s contradictory drug policy at our urging. He was well traveled and worldly, and thought and wrote about matters of consequence. His work was generally prescient, reflecting a keen social conscience and moral indignation over hypocrisy in the academic and political spheres. He was never boring. His activist sensibilities were honed in the struggles of the 1960s and his thirst for knowledge compelled him to size up the players involved in the issues that interested him, such as state-organized crime (from death squads to illegal incarceration and police brutality). He saw with his own eyes the plight of California migratory farm workers and the denizens of Seattle’s skid row, visited Southeast Asia to built upon Alfred McCoy’s work on CIA opium smuggling via Air America in the Golden Triangle (where he spoke to Company agents, a Laotian army general, and poppy growers and heroin traffickers), interviewed gangland financial wizard Meyer Lansky during his research on organized crime, and rode along with cops in Washington, D.C., to document the hyper-policing of black youth under the rubric of the war on drugs. His “Another Lost War: The Costs and Consequences of Drug Prohibition” [free download], published by Social Justice in 1995, excoriated an irrational US drug policy—pursued by Bill Clinton almost as vigorously as by the Reagan and Bush administrations—because it criminalized an entire generation of young men and women of color, institutionalized racism in criminal justice practices, and created widespread corruption in politics and law enforcement. We admired his work as a fellow editor when he launched Contemporary Crises in 1977, because the journal framed social problems within the larger political economy, including the embedded structural conflicts between social groups. He had the ambitious goal of building an alternative to conventional social theory by developing critical analyses of crime, law, and the world system. 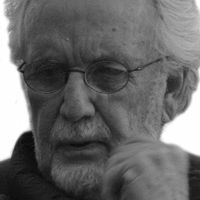 In short, he tried to create a forum for critical criminological, legal, and development studies and to promote emergent intellectual traditions then calling themselves radical, critical, Marxian, or conflict studies—to achieve an international perspective in a period soon to be dominated by capitalist globalization. It was a valuable and bold experiment, although the synthesis was difficult to realize. Also admirable was Bill’s audacious use of his American Society of Criminology (1988) and Society for the Study of Social Problems (SSSP, 1993) presidencies. In the former, he emphasized crimes by and against the state, from the industrial genocide in Nazi Germany to the indictable offenses of Lt. Colonel Oliver North during the Reagan administration’s Iran-Contra scandal. At the SSSP, he introduced his ethnographic research on the race and class dimensions of policing practices and the incarceration industry it fed. Bill always knew for whom the bell tolls. Though we will greatly miss him now, his contribution and example will undoubtedly stand the test of time. His remarkable academic, intellectual, and organizational achievements are ably captured by Richard P. Appelbaum and Mark S. Hamm. We urge you to read their respective essays, “Never Afraid of Living: William Chambliss, 1933–2014,” and “Chambliss, William J.: Power, Conflict, and Crime” (Encyclopedia of Criminological Theory, Volume 1, edited by Francis T. Cullen, SAGE, 2010). * Gregory Shank is the co-managing editor of Social Justice. Thank you for this nice summary of his contributions. I’ve assigned some of his writings to my criminology classes.